Because most extant viruses mutate rapidly and lack a true fossil record, you cannot excavate old bones of dinosaurs and hope to find traces of extinct viruses. But what you can do is study DNA of living birds, because these are the true descendants of dinosaurs. Simply observe a chicken and you’ll see a child of a dinosaur. But some viruses do leave treir traces in the DNA of infected species. Many viruses replicate in the nucleus of their host's cells and are therefore prone to be incorporated in the cell itself, a process called endogenization. These changes in the, provide a molecular fossil record of past viral invasions and these changes can be researched. 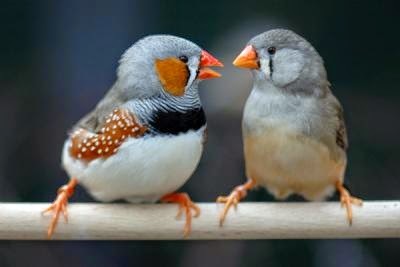 Using fragments of DNA found in modern-day zebra finches (Taeniopygia guttata), evolutionary biologist Alexander Suh and his colleagues pieced together an almost complete genome of an ancient Hepatitis B Virus. Their analysis suggests that the Hepatitis B Virus is possibly more than 82 million years old and that it probably originated in birds and jumped into mammals later. The reconstructed Mesozoic-era virus is remarkably similar to the Hepatitis B Virus that infects people today, the team found. “We’ve had 82 million years of evolution, but they still have the same proteins,” Suh says.